Larger vases of this form were used for the pitch-pot game, where arrows had to be thrown into the mouth or tubular openings of the vase. The small vase has a globular body, a straight foot with pointed base and a cylindrical neck flanked at the top by two cylindrical lugs. 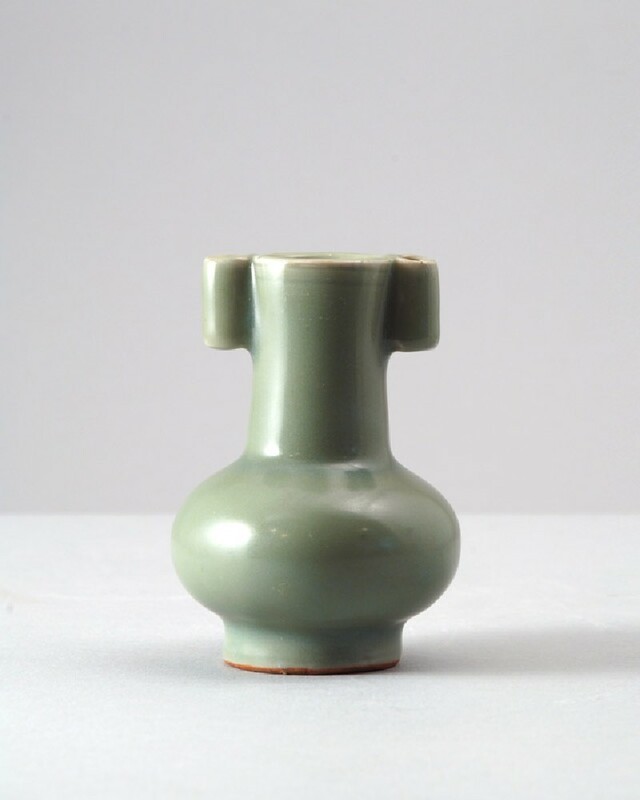 The piece is thickly potted and evenly glazed in a yellowish green, the footring is unglazed and has fired a reddish brown.